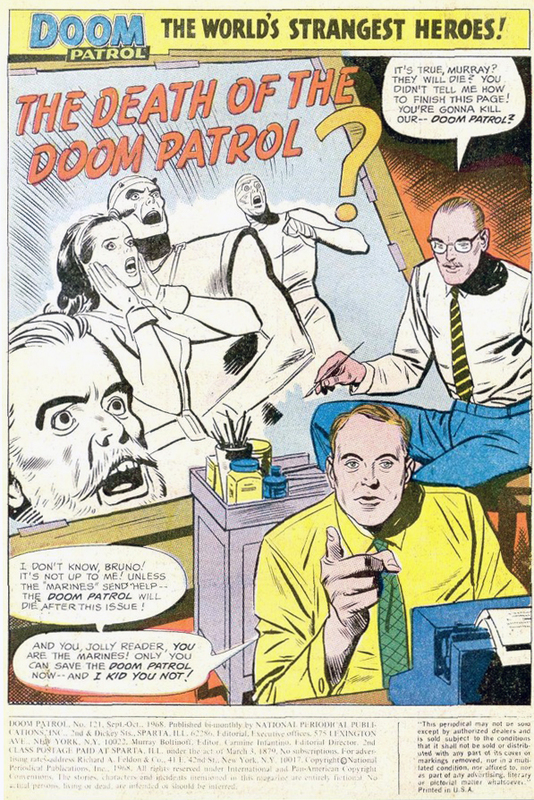 Doom Patrol: Episode 80: Going Out with a Bang with Gabriel Hardman! OR It's 2016, so the Doom Patrol Must Die! Episode 80: Going Out with a Bang with Gabriel Hardman! 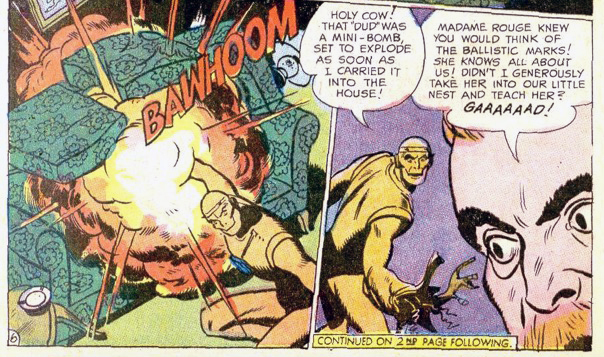 OR It's 2016, so the Doom Patrol Must Die! Here's the Podbean link for the latest and greatest Waiting for Doom. Surprise deaths! Bureaucratic efficiency! Ungrateful citizens! Islands in the sun! A Nazi! More death! The final episode of 2016; the final issue of Doom Patrol volume 1! Let's get patrolling! 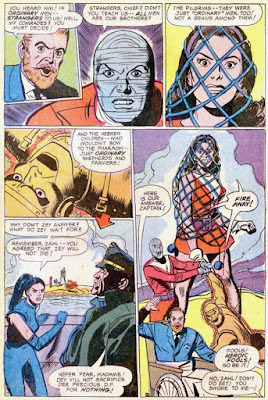 Doomsplaining - 9:19 - Our final episode of 2016 covers the final issue, #121, of Doom Patrol volume 1, by Arnold Drake and Bruno Premiani! Joining us to discuss the issue is writer and artist, Gabriel Hardman! 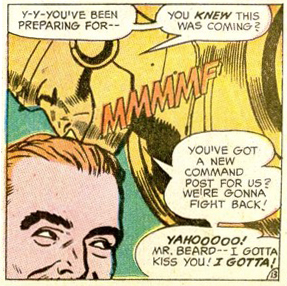 Mailbag O Doom - 53:10 - We read your responses to the question, "What is the worst continuation of something?" 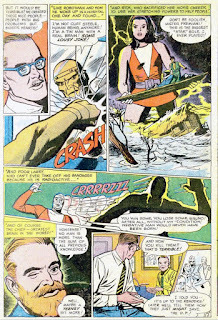 Doom Patrol (v1) #121. But NOT the end of the series. 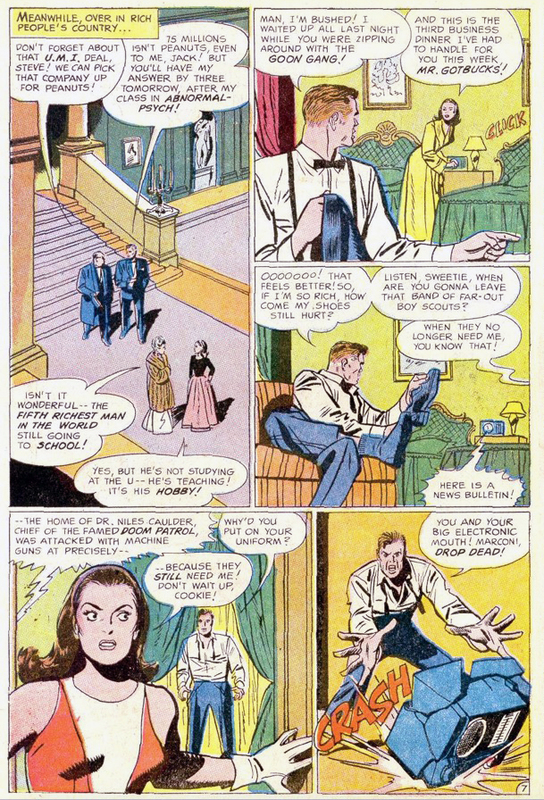 I listened to the episode yesterday, but a lot has happened between then and now, so I forget if the guys mentioned the fact that despite killing the team off in Doom Patrol #121, the series continued for three more issues. 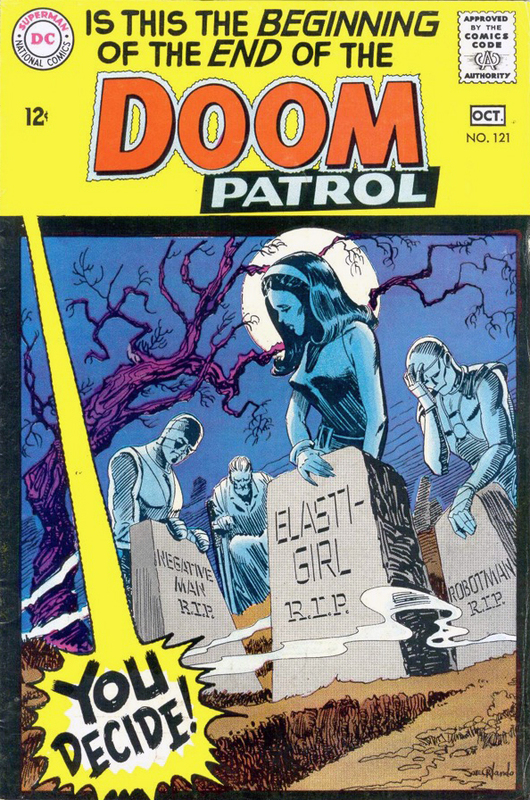 Those issues reprinted previous adventures, but offered the glimmer of hope that maybe - maybe - the Doom Patrol would return. Alas, they did not. At least not until a second volume. Sort of. After a pit stop by Showcase and some noteworthy appearances in the pages of the Marv Wolfman-George Pérez era Teen Titans. All of that is neither here nor there, as Waiting for Doom #80 (Huh. WFD80 on MGA80?) 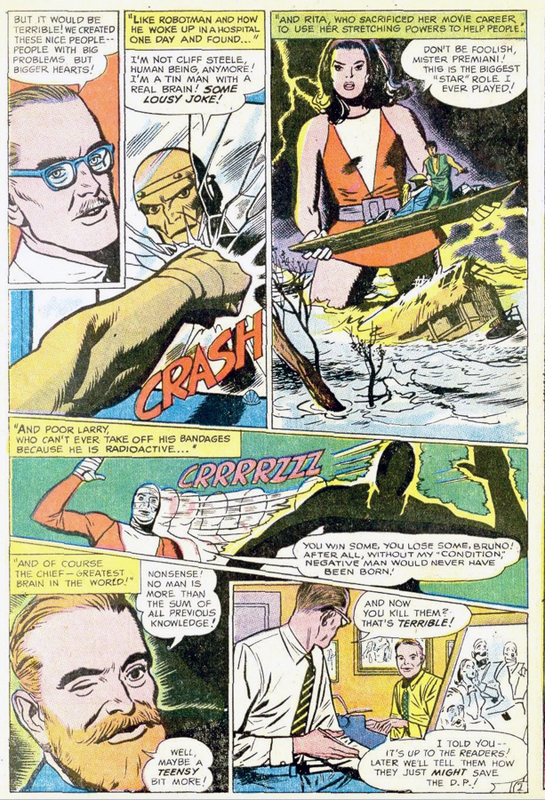 focuses on the end of the Doom Patrol. Here's the images you want to see. This is the Drake and Boltinoff version. We'll try to track down the Drake version to share. A nice summery and wink from Niles. Take a small drink. Not a sip or a shot, but a small drink. Steve Dayton - fifth richest man in the world and #1 in anger management issues. That poor radio. 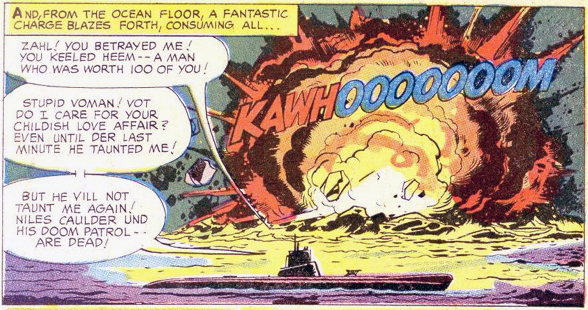 Cliff's gonna croak some frogmen. And there you have it. The end of the Doom Patrol. Gabe mentioned storyboarding Logan, which is due for a 3 March 2017 release. 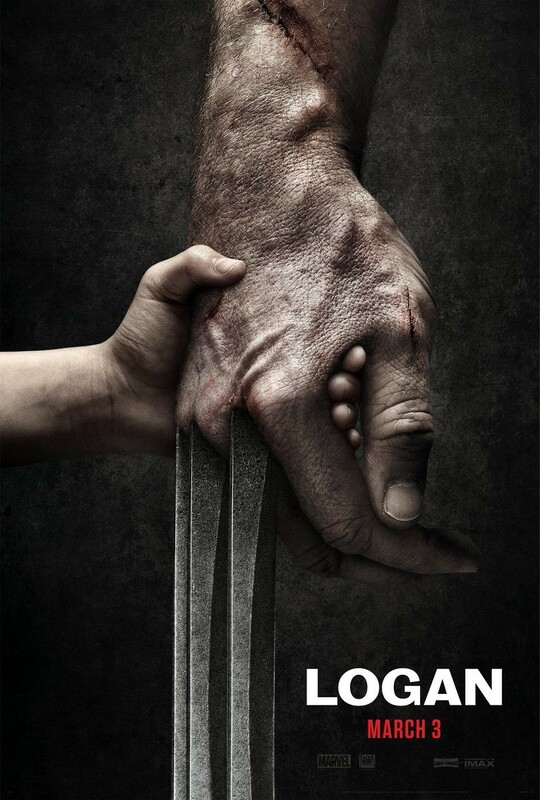 I moonlight at a movie theater, and the Logan poster has caught my eye. Here. I'll share. 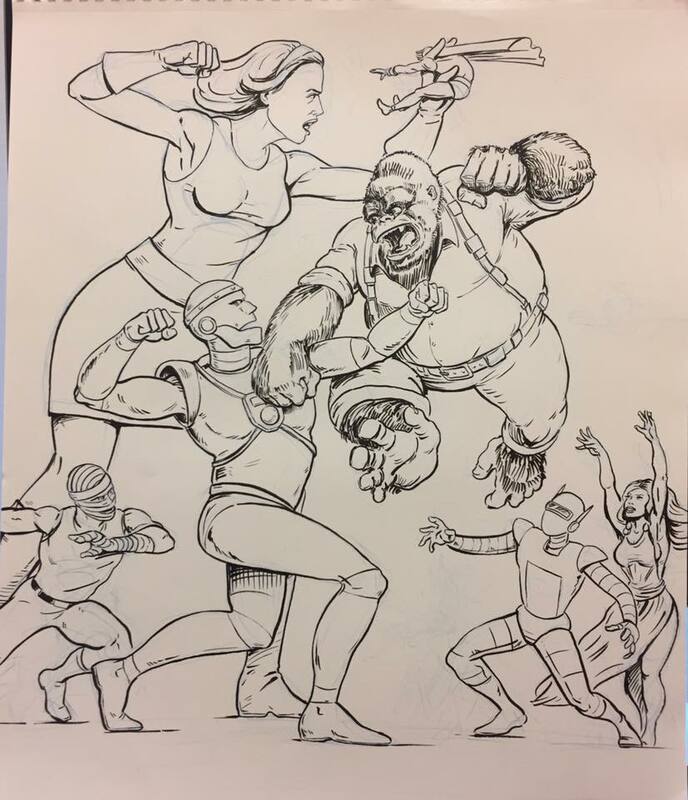 Since I JUST posted, there really isn't a whole lot to add from Derington Way, save for an update on the delay to Doom Patrol (v6) #4. It is now slated for January 25. Waiting for doom indeed. . .
That gives me a little room to pimp my personal favorite Gabriel Hardman project: Agents of Atlas. It's available on Comixology and Marvel Unlimited. Jeff Parker wrote it. Hardman came in on the ongoing. Leonard Kirk handled the art chores for the introductory miniseries. 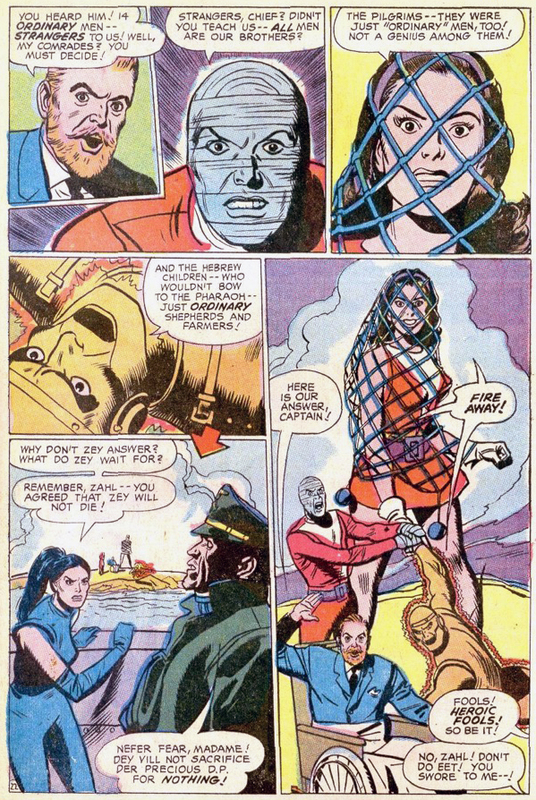 Trust me when I say: this is the Marvel Universe for Doom Patrol fans. Arnold Drake would have loved him some Agents of Atlas. You will, too. It bears sharing once more. Here's a drawing of both teams a buddy of mine did for Inktober. What was the best thing about 2016? Thanks Doug, valuable adjuncts to the discussion as ever. Kudos for your fine work supplementing WFD this year, and that ink drawing is fab. Well done for another fab post, Doug. I don't recall, have we ever been back to the renamed town Foir heroes – did they re-rename the place when the team returned to life? Steve looks so darn natty, THAT'S why Rita stayed with him. Episode 79: Merry Spacemas, Everybody! HAPPY HOLIDAYS! TAKE A DRINK!